The New Mexico Legislature passed a sweeping civil asset forfeiture reform bill last week to protect innocent people's property and due process rights. The bill, HB 560, effectively bans the pernicious practice, requiring a criminal conviction before property can be forfeited to the state. Before the passage of HB 560, New Mexico had relatively bad laws on the books concerning this issue, basically empowering overzealous police departments to seize assets through a relatively low standard. In its 2010 report, Policing for Profit, the Institute for Justice, a libertarian public interest firm, gave the Land of Enchantment a "D+" for its civil asset forfeiture laws. State Rep. Zachary Cook (R-Ruidoso), who chairs the lower chamber's judiciary committee, introduced HB 560 last month to rollback this big government policy. The ACLU's New Mexico chapter hailed the bill, noting that it "would end the legal fiction of civil forfeiture—that property can be responsible for a crime—and replaces it with criminal forfeiture." HB 560 not only bans civil asset forfeiture by requiring a criminal conviction, but it also removes the profit motive behind seizures of innocent people's property by overzealous law enforcement. Current law allows law enforcement agencies to receive up to 100 percent of the proceeds of forfeitures. HB 560, however, would direct these proceeds to the state's general fund. 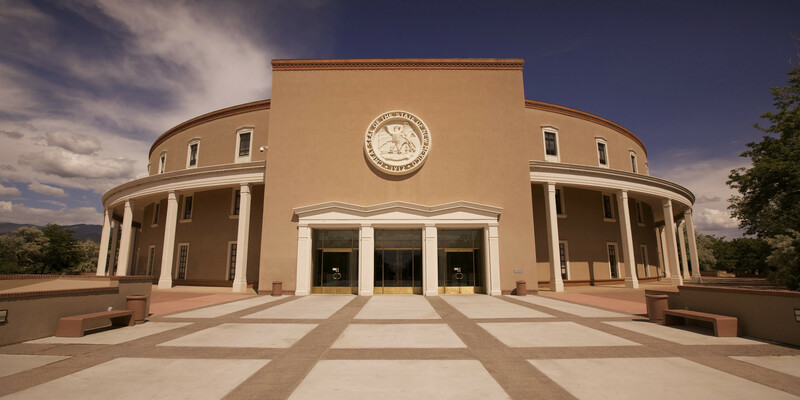 With the clock winding down on New Mexico lawmakers, HB 560 was finally brought up to the floor for a vote last week, unanimously passing both the Republican-controlled state House and the Democratic-controlled state Senate. The bill now goes to the desk of Gov. Susanna Martinez, a Republican, for her signature or veto. "This bill is one of the most powerful proposals in the country to end a practice that undermines American’s property rights and violates due process," said Lee McGrath, counsel for the Institute for Justice, in a press release from the Rio Grande Foundation. "This is a big day for New Mexico." Though a state-level reform, HB 560 is similar to the FAIR Act, introduced by Sen. Rand Paul (R-KY), which would remove the profit motive of state and local law enforcement working in coordination with federal agencies and allow people to challenge seizures within 14 days, placing the burden of proof on the government, to ensure that innocent people have their day in court.